I absolutely love the invigorating rich aroma of coffee in the morning, the smell alone fights sleep deprivation and sends a wakeup call to my brain. 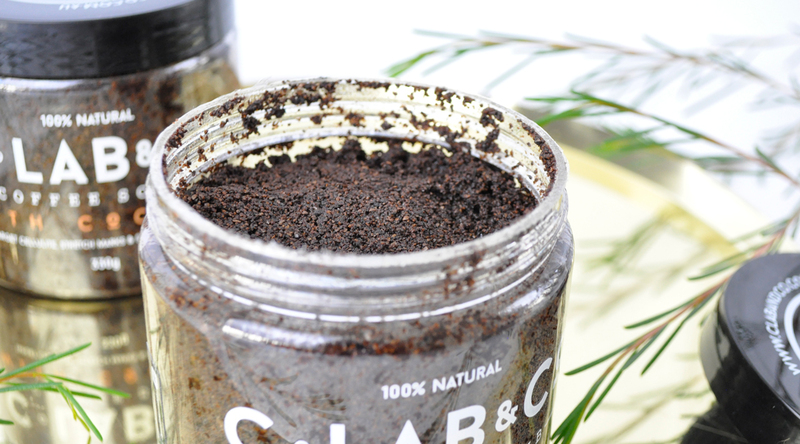 Anything with coffee in it is a hit in my books hence why I have been loving incorporating C Lab & Co’s Coffee scrub into my weekly pamper routine. 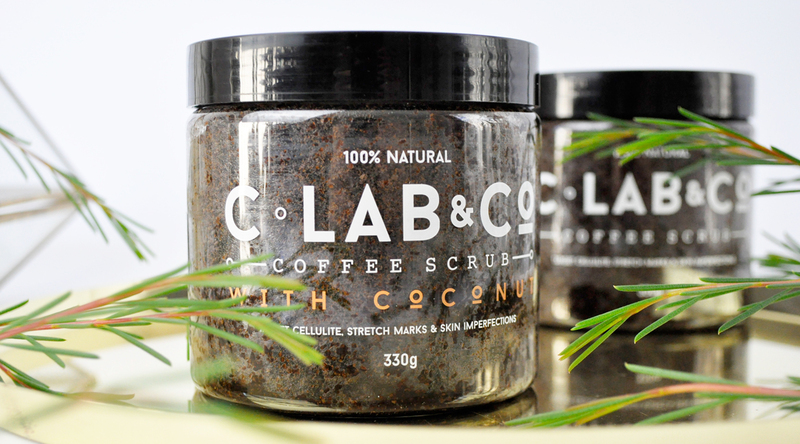 C Lab & Co’s range of coffee scrubs are enriched with 100% natural ingredients, formulated with the perfect blend of Organic Vitamin E, sea salt and other natural essential oils and active ingredients. Our coffee beans are sourced from coffee enthusiast alike who roast our beans to a level referred to as “just racked” allowing them to retain their natural oils then blended with the finest natural ingredients to bring you conveniently packed products suitable for targeting cellulite, stretch marks, and other skin imperfections. 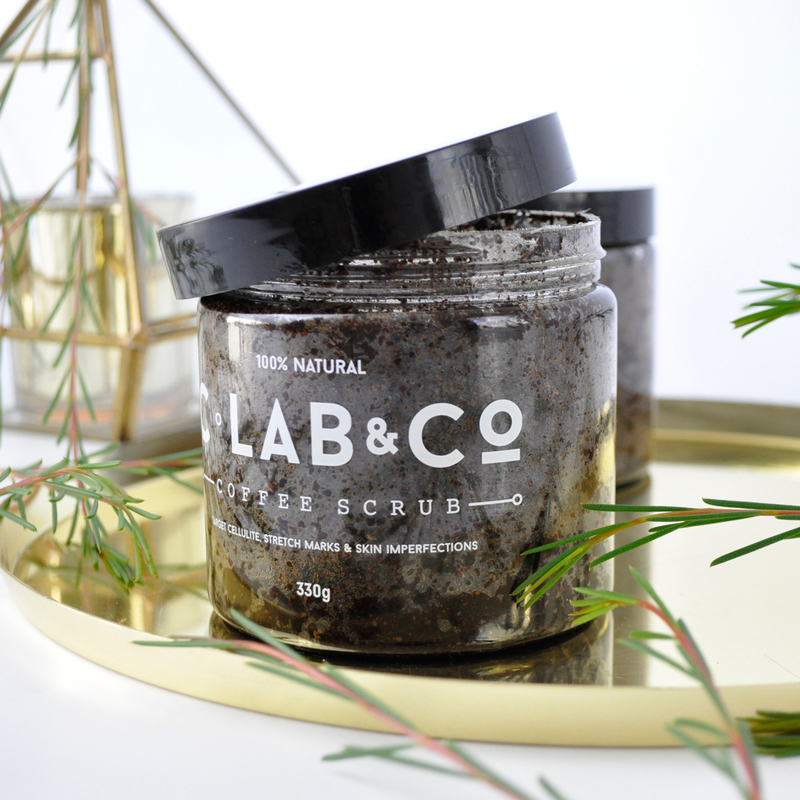 These gentle nourishing scrubs stimulate cell regeneration and blood flow. They help reduce the appearance of cellulite, stretch marks and encourage healthy skin renewal. The smoothing grainy texture buffs away dry skin without any rough scrubbing, thanks to the gently exfoliating ingredients. These mouthwatering scents leave my body smelling fresh, and skin feeling soft, rehydrated, and luminous. Also a big thumbs up for the tub packaging with screw top lid, it makes for easy use and can be upcycled once I’m done with them. (Available in 100g travel sized pouches). How to use: Apply in the shower with a clean spoon, scoop out a few handfuls and gently massage on to damp skin in circular motions targeting problem areas. Let your skin absorb the oils for a few minutes then rinse and pat dry. Which is your favourite type of body scrub? I have always wanted to try a coffee scrub! They seem awesome for the skin. I highly recommend these natural coffee scrubs, they are so good for the skin! I absolutely love these body scrubs! I use them all the time and take them when I go travelling. I know, right?! They are so handy for traveling! I’m yet to try my first coffee scrub. I’ve wanted to give it go for so long! I’ve read how it can get messy so it’s nice to see it in a tub version! The tub packaging is a great idea! How lovely are these scrubs! I’m loving them! I wish I could use coffee based products and drink coffee too! Unfortunately the aroma of coffee gives me massive headaches! So unfair! I feel like I’m missing out on something good! Oh no.. you get headaches, that’s no good! I keep seeing these around – I need to try! Love the packaging. I love the packaging too! 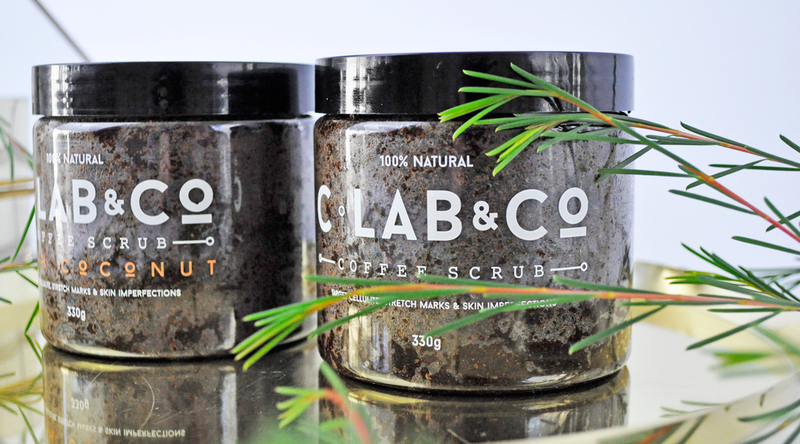 I’ve never tried a coffee scrub before, but I’ve heard such good things about them – my sister swears by them! Definitely want to try this one out! Thanks for sharing! They are well worth trying out as they have so many benefits. Thank you very much Courtney. The coffee scrub sounds and looks so good. I have been thinking to try a coffee scrub since sometime, will check this one. I hope you like it Preet. They are fantastic! These sound amazing! I definitely think that I am going to give these a try! These look sooo good! 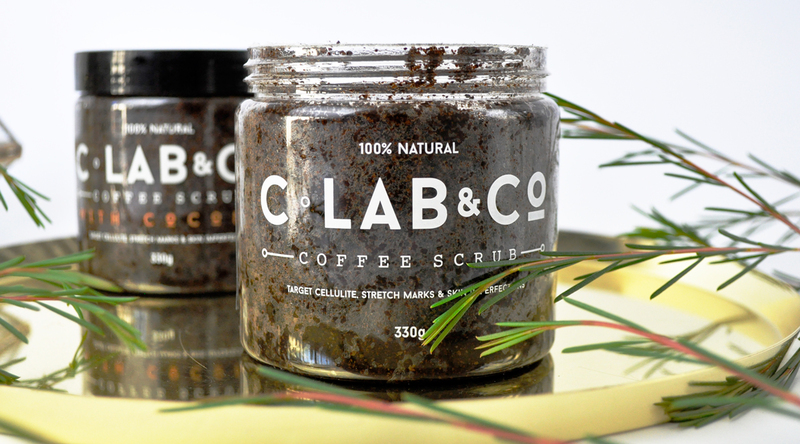 I’ve been wanting try a coffee scrub for a bit- I’ll definitely look into this one. Great post! I’ve never tried coffee scrubs and have been really wanting to lol. I would love this one mostly for the stretch marks, I got a lot of tiger marks due to pregnancy and losing and gaining weight over the years lol. And can’t beat those skincare benefits! !